The top performer in the South African Junior Squad was Brad Scott from Kommetjie who produced a fine performance in the difficult conditions to finish second behind Ledee in the U 16 Boys Final. James Ribbink of Durban North was fourth in this Final while Tayla de Coning of East London and Ceara Knight claimed fourth place in the U18 Girls and U16 Girls Main Finals respectively. Kayla Nogueira of Umhlanga won the U16 Girls Plate Final beating Jesse Powell of St Mikes into second and Katie Winter of Kommetjie into third spot. The Main Finals in each division featured the surfers who finished first and second in the Semi Finals and the third and fourth placed semi finalists competed in the Plate Finals. The “friendly” Junior International involved members of the South African Junior Squad, a group of junior surfers from all parts of France who were holding a training camp in Durban, and a group of invited surfers from KZN. 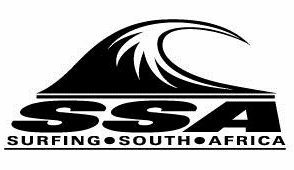 The members of the 2019 SA Junior Squad will compete in a selection trial in Port Elizabeth on March 30th & 31st This trial will be used to select the three U18 Boys and Girls and three U16 Boys and Girls who will represent South Africa at the 2019 ISA World Junior Championships. 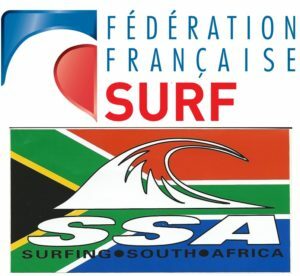 Surfing South Africa is the recognised national governing body for all disciplines of surfriding in South Africa and is a member of the South African Sports Confederation and Olympic Committee (SASCOC), the African Surfing Confederation (ASF) and the International Surfing Association (ISA).